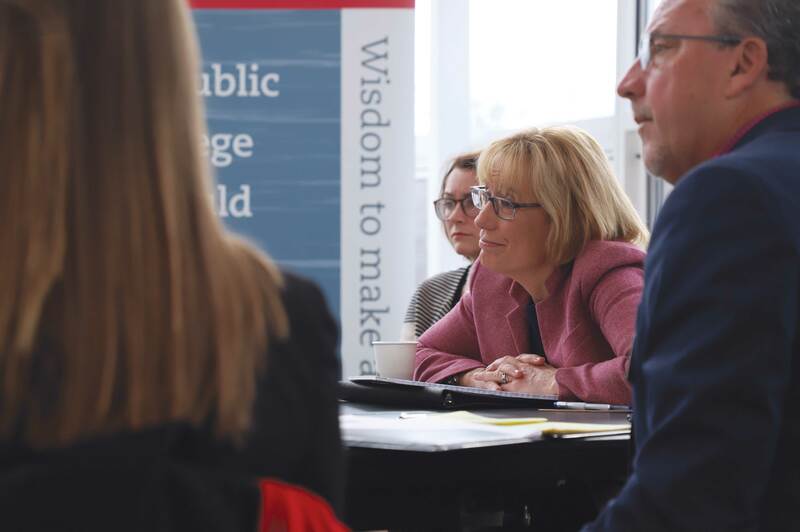 On Thursday, March 21, Senator Maggie Hassan sat down with Keene State College alumni and students to discuss student debt and the affect it has on their lives. Attendants shared their stories with the United States senator. “The way laws get changed are when there are specific examples,” Hassan said. The purpose of the sit-down was to address student loan debt. “We know New Hampshire has the highest student loan debt in the country,” Hassan said. According to the Institute for College Access and Success, a non profit group that works to make education more available and affordable, Keene State students graduated in 2017 with an average of 40,195 dollars in student loans. One commonality among the students was that almost all of them were first generation college students and most of them had many other siblings. “It’s hard for them to understand,” said one first generation Keene State student, in reference to her parents. Another barrier for college that was discussed was that the information required to apply for financial aid is sometimes not known or families don’t feel comfortable sharing it. The discussion focused on both the application process for financial support before college and the process of dealing with debt when students graduate. In addition to students and alumni, there were also many others in attendance like an employee of the Division for Children, Youth and Families (DCYF) Tracy Smiley. Smiley shared her experiences helping children from foster homes apply for and graduate college. One student she advised who had dropped out of college told her it was “more lucrative to stay at Dunkin Donuts than work for social services,” which would require him to finish college. Another student she helped dropped out of college without realising that they had taken out student loans and would now have to pay them back. One complaint of Hassan’s was that colleges were not making their completion rate clear, nor the expected income vs debt that students will have after college. In the past, Hassan has pushed for more opportunities for debt relief for students. According to a press release by her office, in 2019 she helped introduce a bill that would allow employers to pay up to 5,250 dollars of employees’ student loans tax free. Hassan was also critical of the current administration. According to Hassan, the current Secretary of Education, Betsy Devos, is trying to make it harder for students to get financial aid. Also in attendance were the TRIO(Provides academic support services to students) staff at Keene State who gave their experiences with helping students with their student loans. 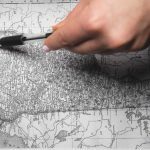 “Access is not opportunity when it comes to higher education,” said Educational Counselor Mark Schmidl-Gagne. The Director of External Relations at Keene State Steve Fortier was in attendance not in a professional role, but instead to talk of his own experience with college debt. His concern was with the public service loan forgiveness program, which many of his family members depend on. His worry is that the program will be dismantled by the current administration. In President Donald Trump’s proposed 2020 budget program, it has been removed. According to an article in Forbes by Robert Farrington, this proposed change would affect loans taken after July 2020. Internship Coordinator for Academic and Career Advising Kristin Mehalick-Brooks works at Keene State and is currently trying to pay off over 100,000 dollars in student loan debt. “It’s a really big burden. It is something that I look at almost weekly or monthly,” Mehalick-Brooks said. Another challenge she and many others face is refinancing the student loans, because they are so large and there are many factors can lead to them being rejected. Despite her debt, Mehalick-Brooks doesn’t regret her choice to go to college but instead laid out what she would’ve done differently to graduate with less debt. “I would educate myself on available scholarships, opportunities, and I would educate myself on the FAFSA Process,” Mehalick-Brooks said. According to Hassan, while there is a little chance of agreement in the senate on more federal funding for students, streamlining the application processes is something both parties can agree on. “There is a real opportunity in the senate for both parties to come together,” Hassan said.